Our friends staying with us this week are Canadian, so while they're visiting they suggested we celebrate Canada Day - Canada's 150th Birthday - by eating foods that represent a selection of the Canadian provinces and territories. 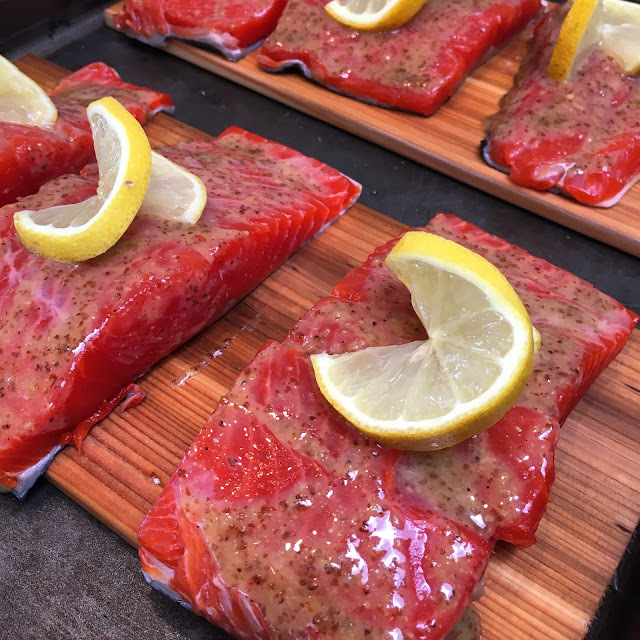 First up is Sockeye Salmon to represent the province of British Columbia. According to Marlaina, a huge salmon fan, it was done to perfection. She topped it with an olive oil, Dijon, and maple syrup glaze. Next (seen in the last photo), were baby lamb chops which represented the province of Ontario. They were tiny, delicate, and very tender. Baby animals tend to taste that way. Grilled with just a sprinkle of salt and pepper, they were served the traditional British way, with mint jelly. One of my favorite parts of the meal was the lobster tail. 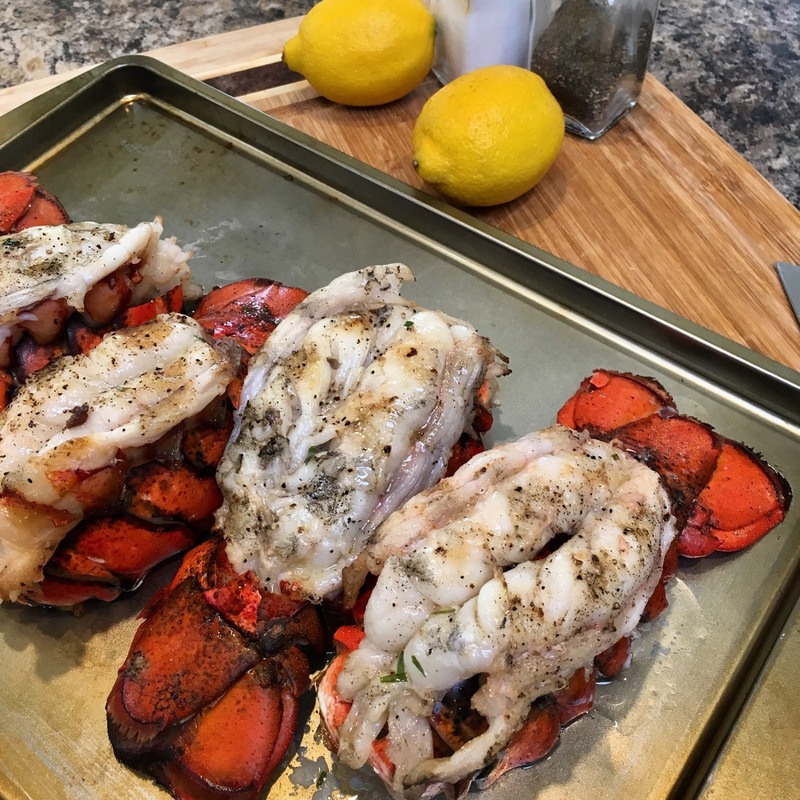 Representing the Maritime Province of Nova Scotia, these cold water lobster tails were brushed with olive oil, salt and peppered, and put on the grill. Ed, the grillmaster, was in charge of all these delicacies being cooked under the watchful eye of his sous chef, Marlaina. 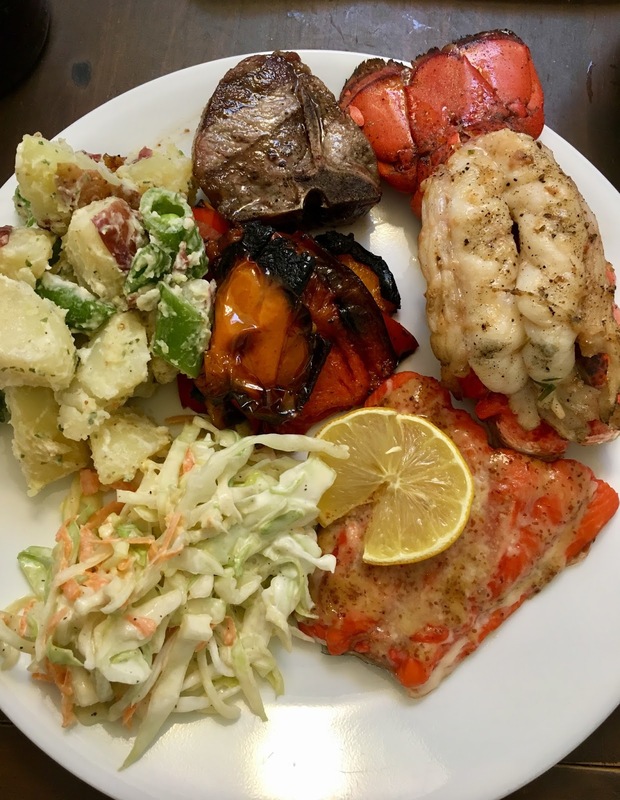 The meal was rounded out with potato salad (potatoes representing the prairie provinces of Alberta, Saskatchewan, and Manitoba), coleslaw (representing the province of Newfoundland and Labrador), and roasted peppers (representing me). 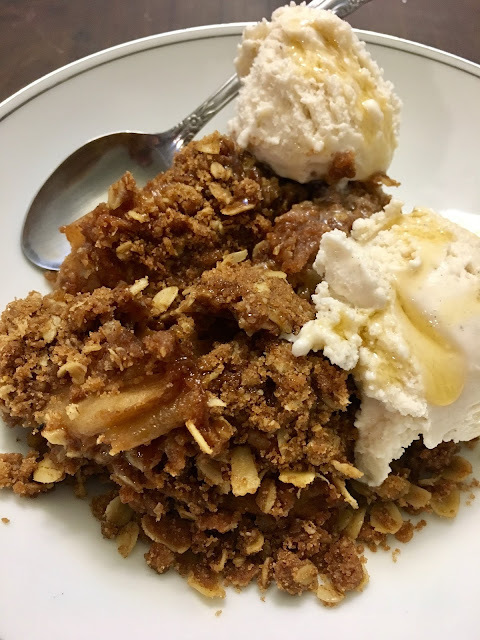 For dessert, Marlaina made an amazing apple crumble topped with a scoop of vanilla ice cream and real maple syrup, representing Québec, the second-most populous province of Canada. Overall, it was quite the celebration. Ed played the Canadian National Anthem, O Canada, while MacG and Marlaina sang along. In a few days, we'll be celebrating Independence Day, more commonly referred to as the 4th of July, the day the United States of America declared themselves no longer part of the British Empire. Ed's already preparing the smoker and the BBQ!